Without proper digital services, banks risk losing customers, a new report suggests. Digital channels for finance management are gaining importance among people, a new report by Fiserv says. Consequently, those banks and financial institutions that fail to recognise this trend, and fail to deliver a user-friendly digital banking experience, are risking losing their customers. 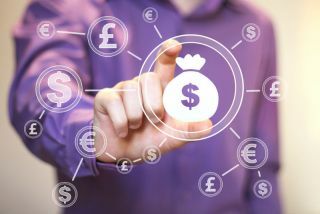 Out of 1,000 UK financial organisation customers that were polled for the report, more than four in five (82 per cent) said they expect “equal or better” digital experience, to what they had previously received from other technology providers. On the other hand, banks and financial institutions aren’t looked at with kind among the respondents, with less than a third (28 per cent) being satisfied with what they’re getting. There are concrete areas where businesses could improve customer experience, and respondents were very clear about it. Accessing and managing financial services account is among those areas, as well as the authentication and sign-in processes. The report also considers this an opportunity, especially for businesses offering biometric solutions. The report says businesses should offer flexibility and control over when and where customers can access their accounts, provide a ‘consistent experience’ across the spectrum, simplify authentication, leverage digital channels for cross-selling, and support customers to organise their financial goals and establish saving habits. More details about the report can be found on this link.